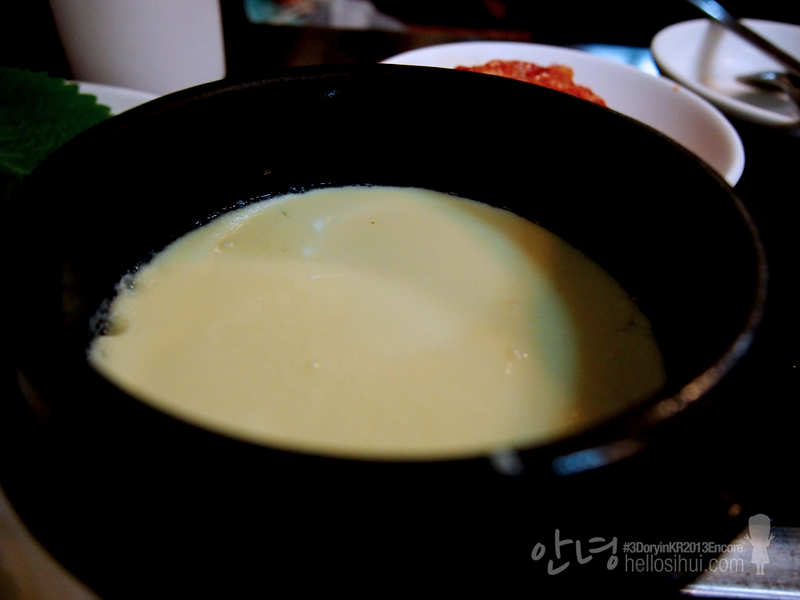 Korea is really a place where all the delicious good food is. 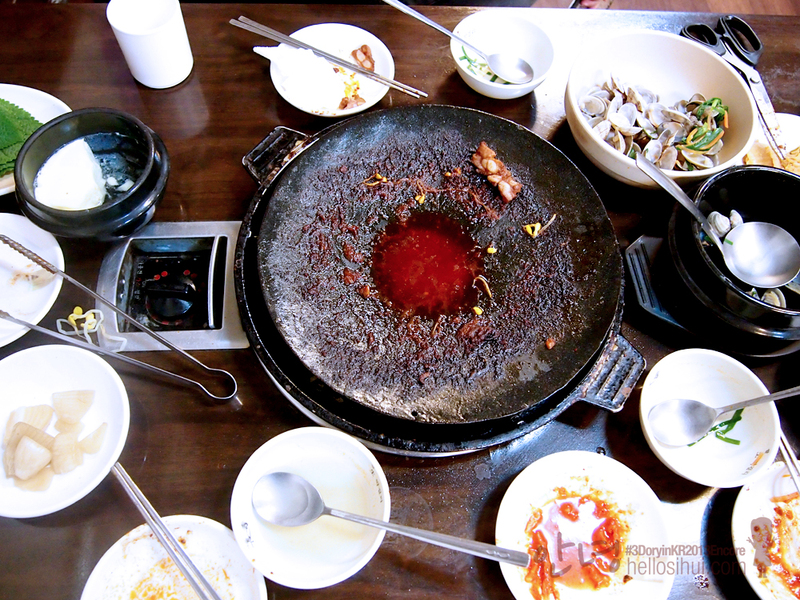 I used to think Korea is about meat & JUST meat. But, my most current trip (march 2014), I had the most seafood ever! And, I’m not complaining because my favorite is always and have been seafood. I can’t say I don’t eat pork, just not a pork lover though I really like ham and sausage haha. 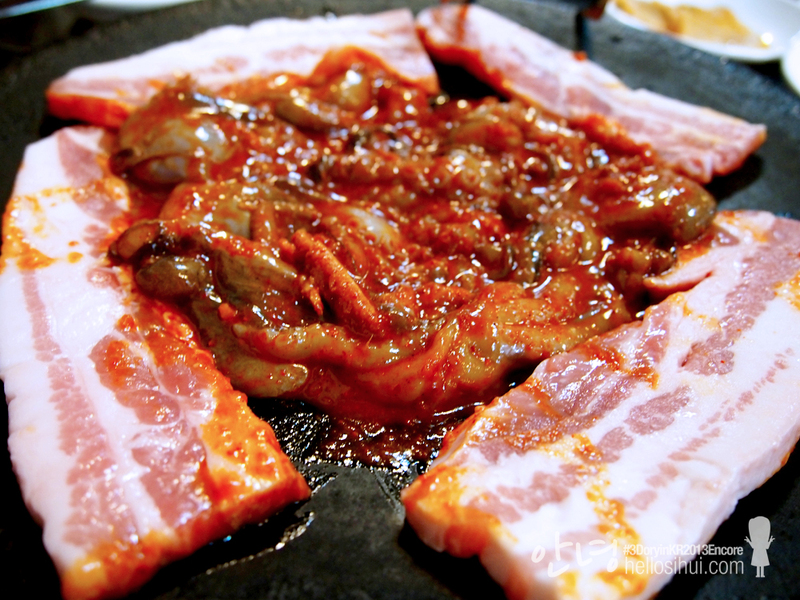 But, not a lover for pork belly at all till I thought I met my rival right here in Guri. 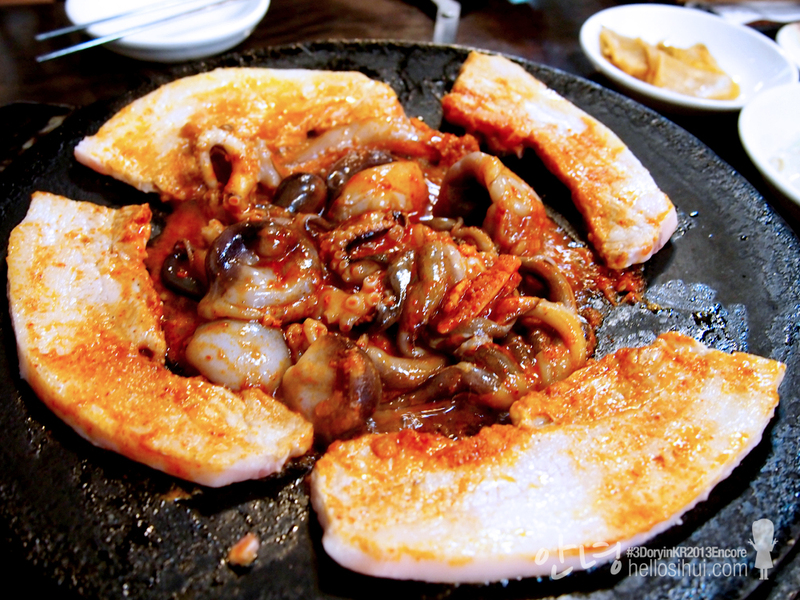 Proven me that pork belly can be delicious and its went up to another level when I eat together with the octopus. Oh yummy! The reason because of the impromptu decision was because of my friend – Sharm. If she didn’t texted me again to encourage me to fit it in my itinerary if there’s time allowance again, I guessed I won’t visit it. Because she texted twice during my trip that I thought THIS MUST BE GOOD, hence, find a way… despite we gonna have a heavy dinner that day. 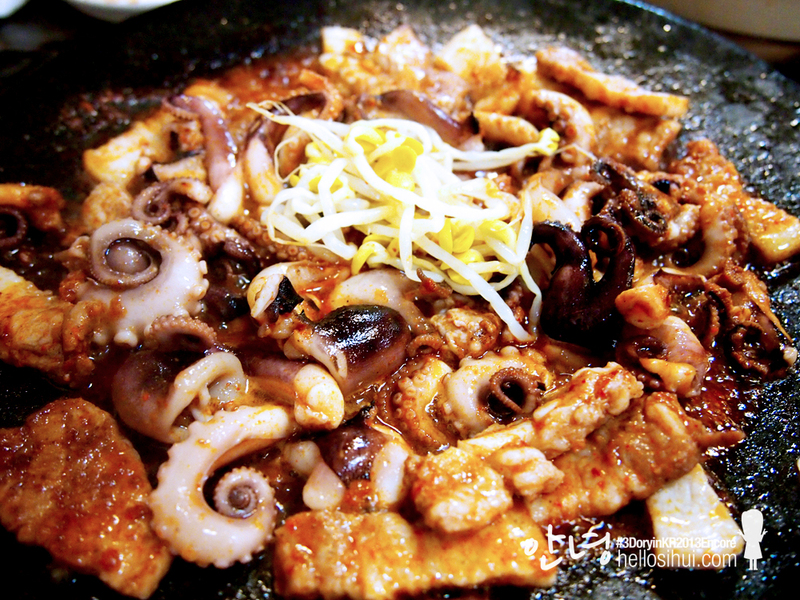 Inchang Octopus at Guri, which is slightly out of Seoul. 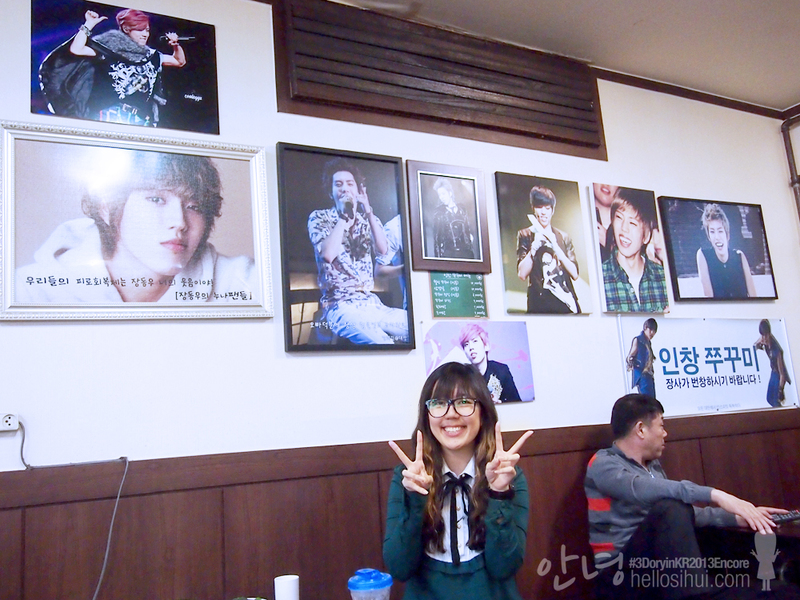 You might have notice Dongwoo (infinite) photo there. yes, it’s his family restaurant. 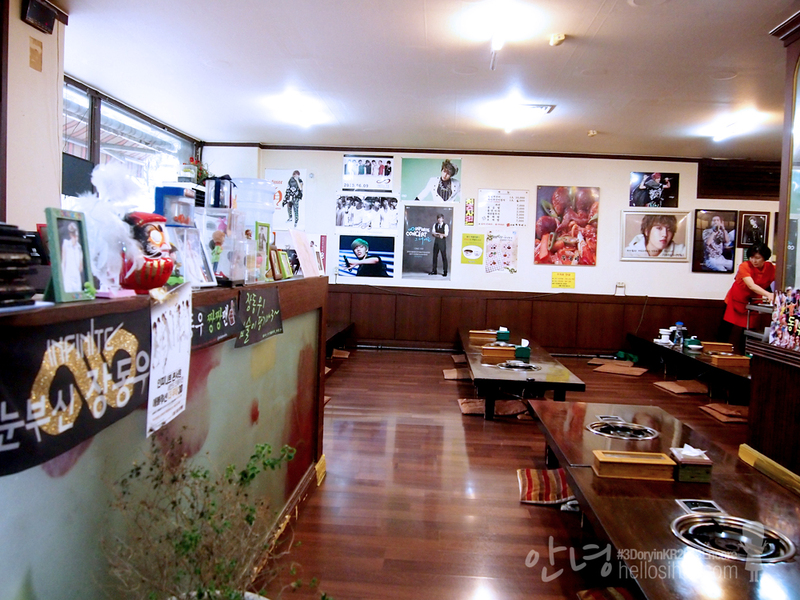 but to people in Guri, they are just a 쭈꾸미 restaurant because, its was already there before Dongwoo debuted. 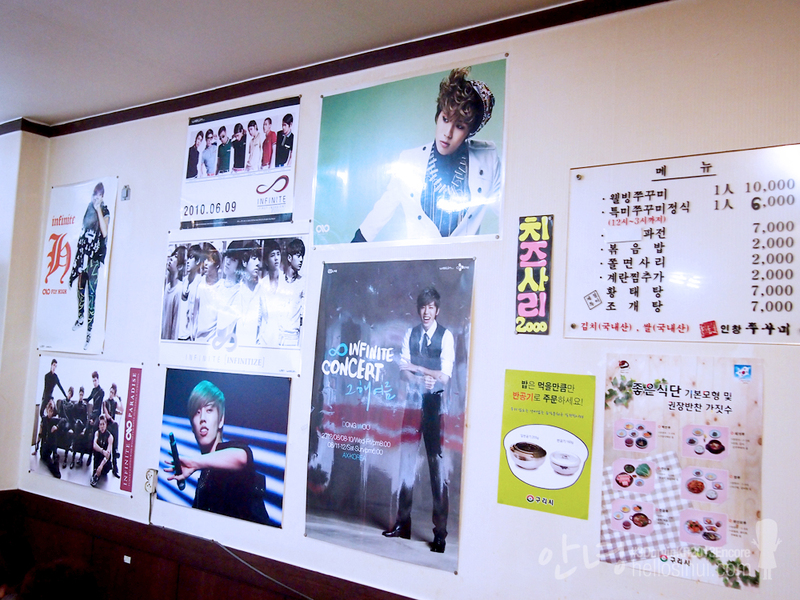 The restaurant is filled with lots of Dongwoo photos, and of cos, there’s a lot of fans’ gift as well. 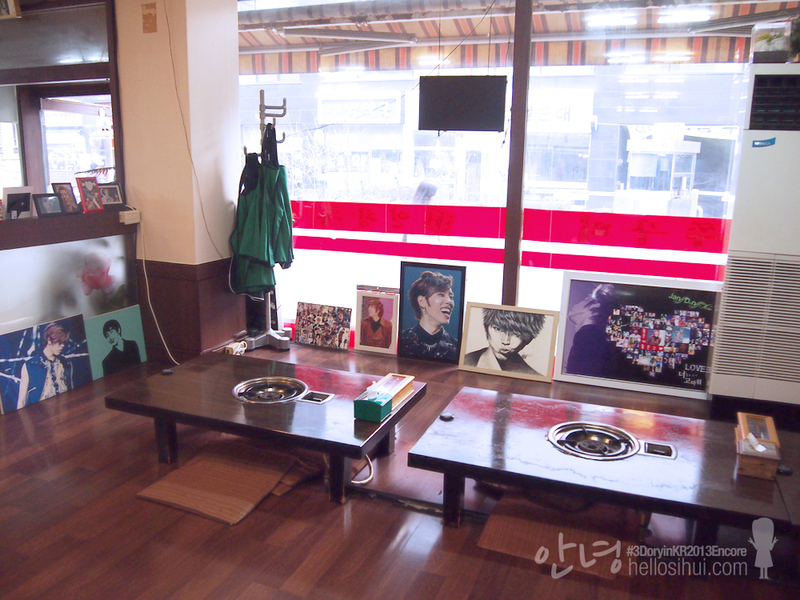 It’s quite thoughtful that his family placed all the gifts from fans in the restaurant too. We were welcomed by Dongwoo’s dad (they look alike, hence its not difficult to know hehe) and he spoke english to us knowing that we were from Singapore. 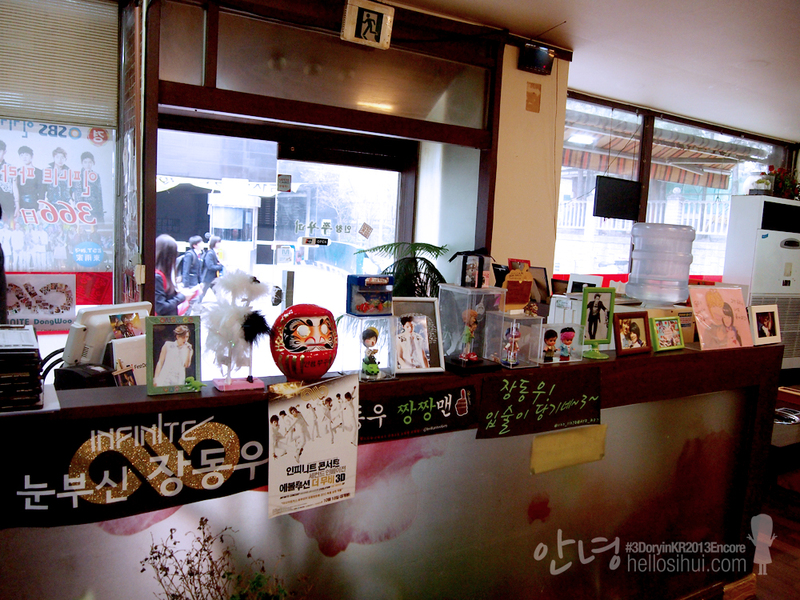 Look like many many oversea fans visited here. haha! 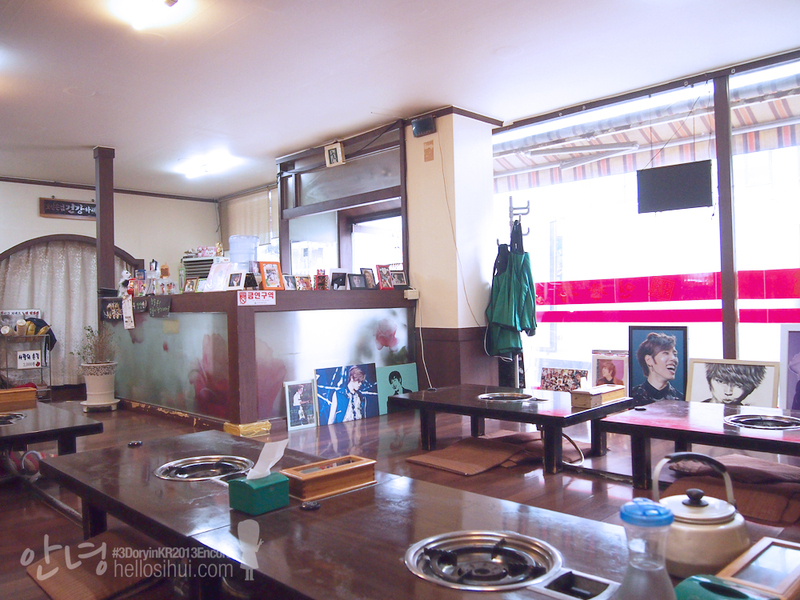 We went during afternoon, slightly after lunch time, and probably the reason why there wasn’t much people. Or maybe because its really not infinite promotion period? I dunno? I always said, I’m a changed person whenever I went for a trip. 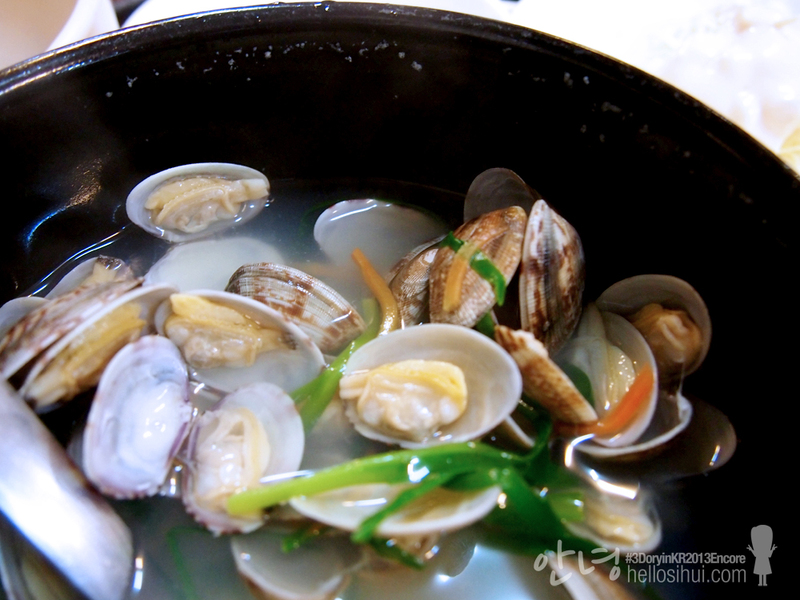 I don’t eat clam shell food, but I ate this! It’s delicious haha, told you, I’m indeed a changed person every trip. I love myself that way so I won’t be a troublesome travelmates whenever I’m on a trip. but sorry, no seaweed still. I tried my best. The dish came like that, it looks really appetizing. Look at the octopus, its really my favorite! Look how delicious the octopus were! 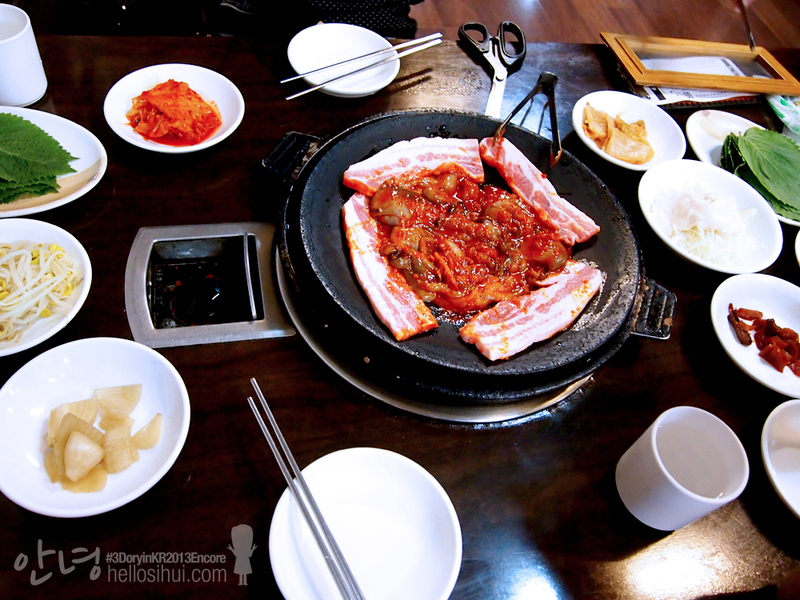 The moment we all had a mouthful of the octopus and pork belly, we goes like “OMG! Whoa, whoa…!” word can’t explain, expression does. 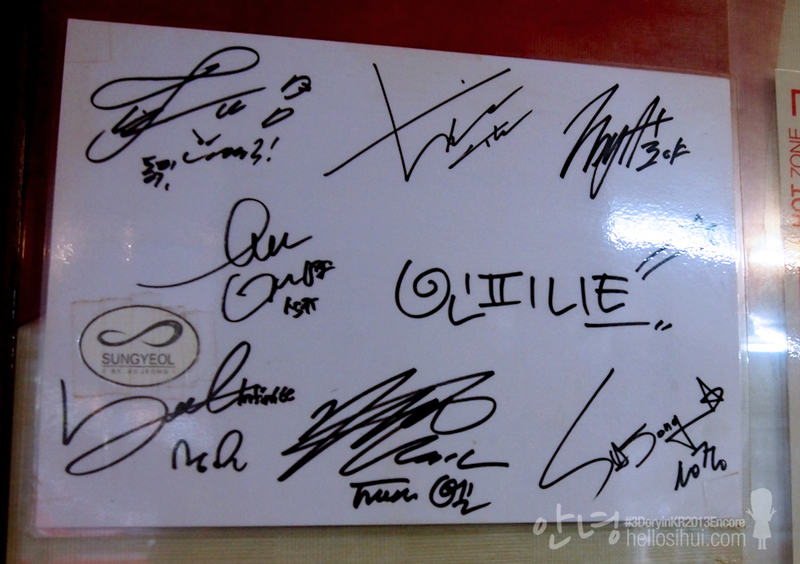 This is when I thought the host of food variety doesn’t lie when they really had good food. haha. I felt touched especially because I am able to get to eat SEAFOOD. 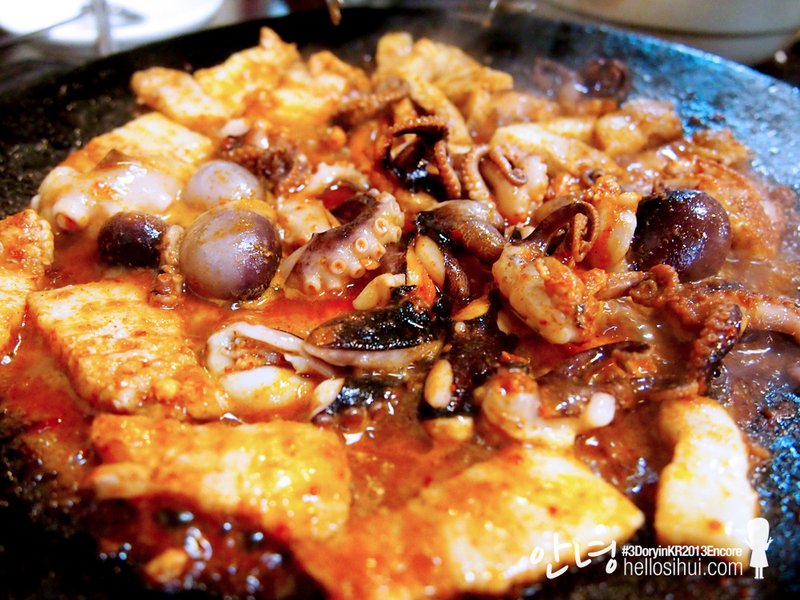 Maybe is the seafood, maybe is the food, I dunno, but this dish really taste good. Clarice and I probably forgotten we just had a cuppa of latte each, and Jacintha probably forgotten about her Issac Toast that very morning. We actually ordered another share of pork belly and octopus. No joke, its really a lot for us, and its only lunch -.- good food aren’t to be miss. And its a long journey haha. 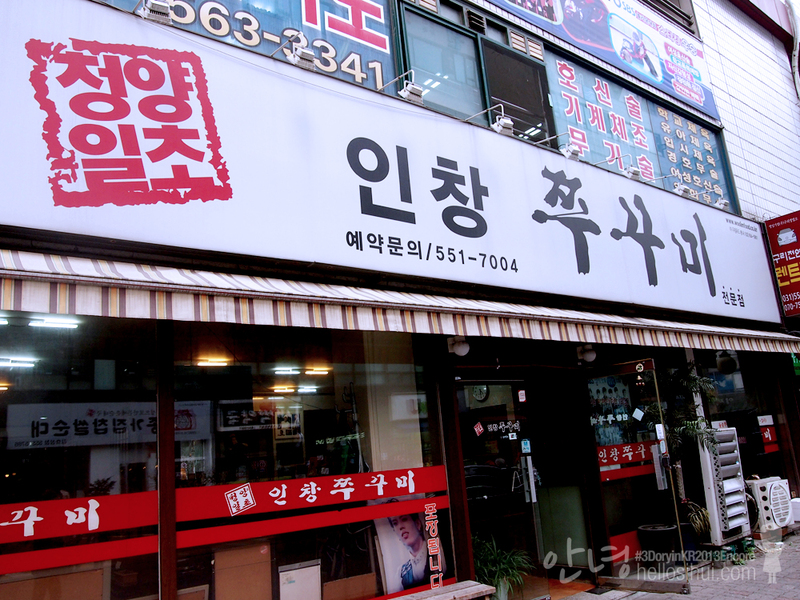 Well, Beast’s Doojoon mentioned in Let’s Eat (TVN Drama), good food should be served hot and eat while its still hot. Hence photo on blogs/portal shld be only the after-eat photo. Here’s the photo of after-eat. We finished everything, every single thing. OMG.